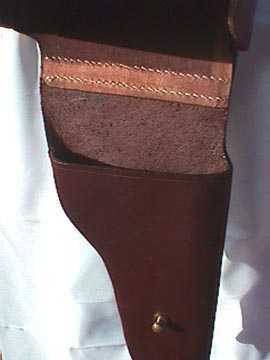 Single Pommel Holster (one side, right or left) – Temporarily Sold Out. For Large Frame Colt Walker and Dragoon pistols. Made of top grain leather. Brass end caps. 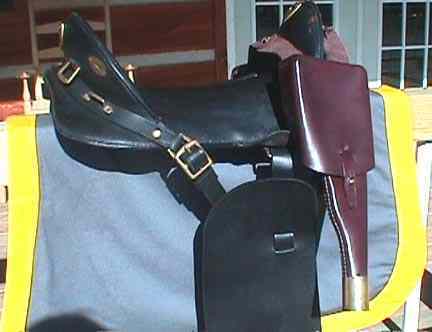 Loops on back side that can be tied down to your cinch. 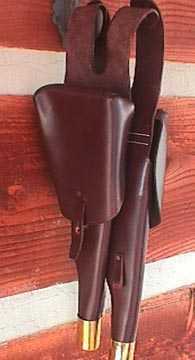 These Double Pommel Holsters can be taken apart and used as singles on a saddle horn It was rumored that Jesse James carried 2 Colt Walkers in this type of holster on his saddle.